Turning everyday meals into a dinner. 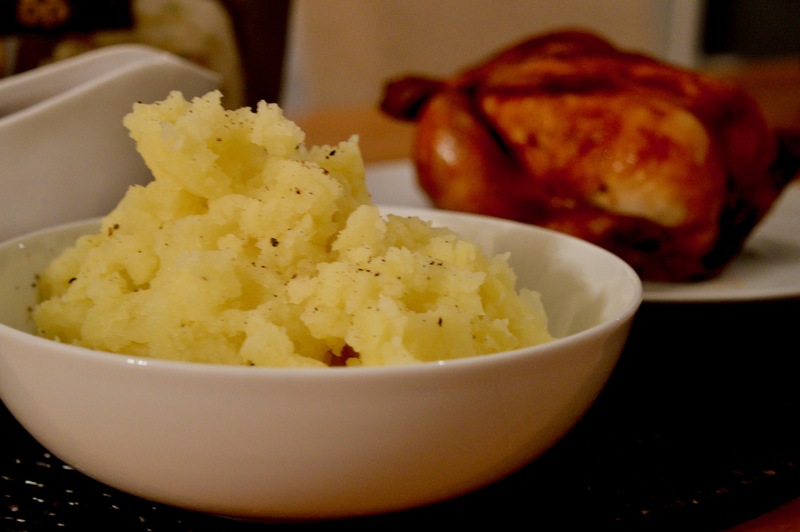 My great Aunt always used to make the best mashed potato, so much so that whenever we spent time in her company there would always be an expectation that she’d cook up the best comfort foods. New Years’ Day was always my favourite; a helping of steak pie accompanied by irresistible mashed potato. Fortunately, I’ve managed to get my hands on the recipe to share with you for the ultimate Winter dinner. It doesn’t have to be over complicated to be delicious you know? 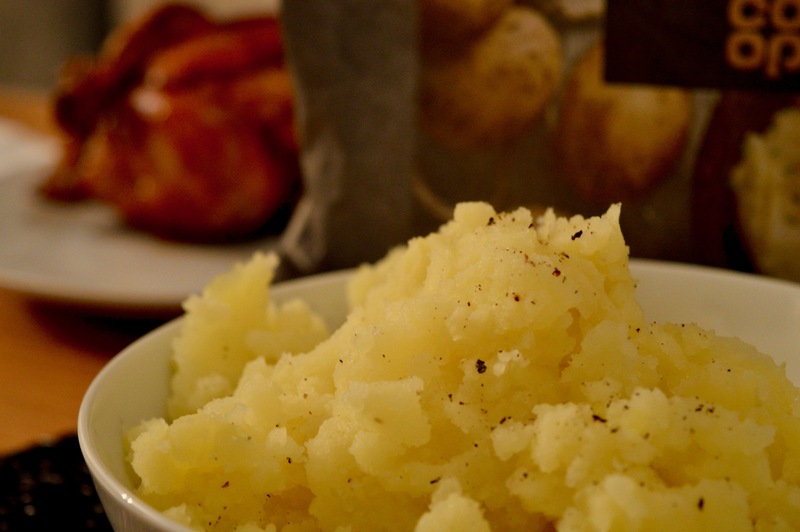 The most important thing in mashed potato though, of course, is the potatoes you use. The Co-Op has just launched the richest potatoes for mashing I’ve ever used. 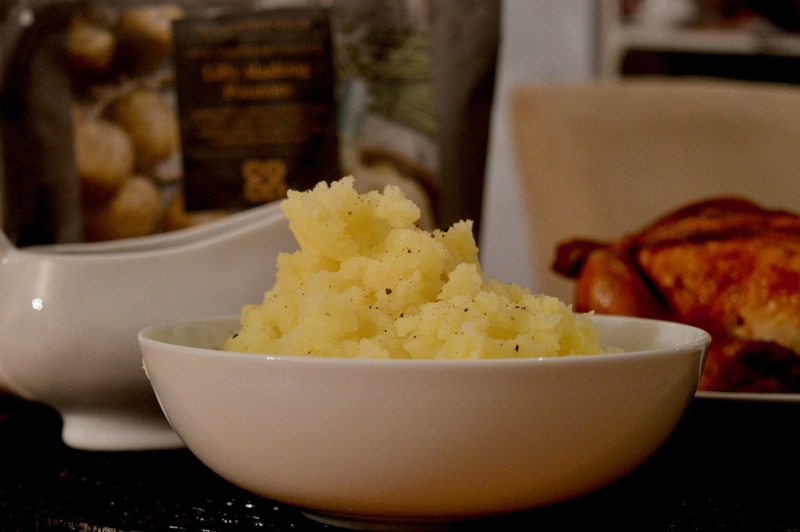 Using the Lilly variety, which is exclusive to the Co-Op these Irresistible Mashing potatoes are ideal for boiling or mashing, they’re also versatile for other uses too. I absolutely adore jacket potatoes and these British potatoes which are grown by a small number of carefully selected growers create the most delicious fluffy jackets too. Boil a pan of water. Place chopped potatoes in large saucepan. Cook over medium-high heat for 15 to 20 minutes or until tender then drain. Once drained return the potatoes to the saucepan. Add evaporated milk and butter. Season with salt and ground black pepper. Then use a potato masher to mash the potatoes. Make sure the potatoes are smooth and the butter and evaporated milk are mixed in thoroughly. Note: Why not garnish with chopped green onions, chopped parsley or cooked, crumbled bacon. When it’s cold outside I do particularly enjoy a simple chicken dinner. 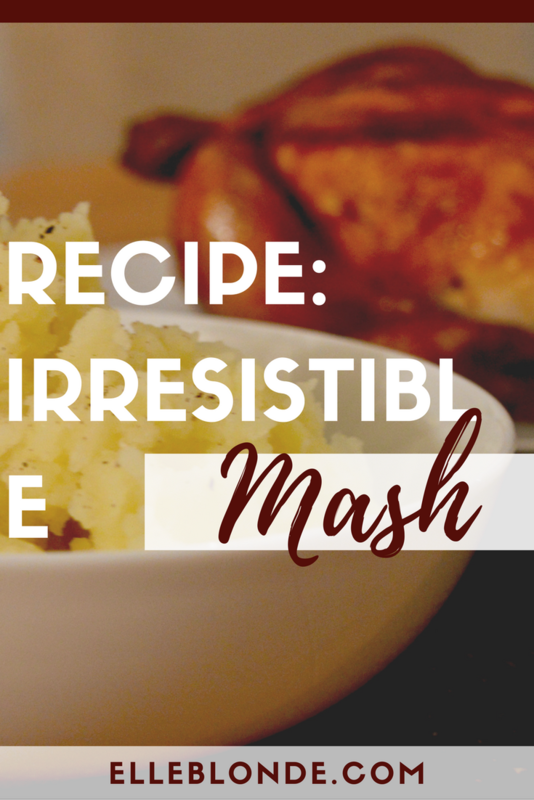 A roasted chicken and piping hot gravy are completed with irresistible mash. 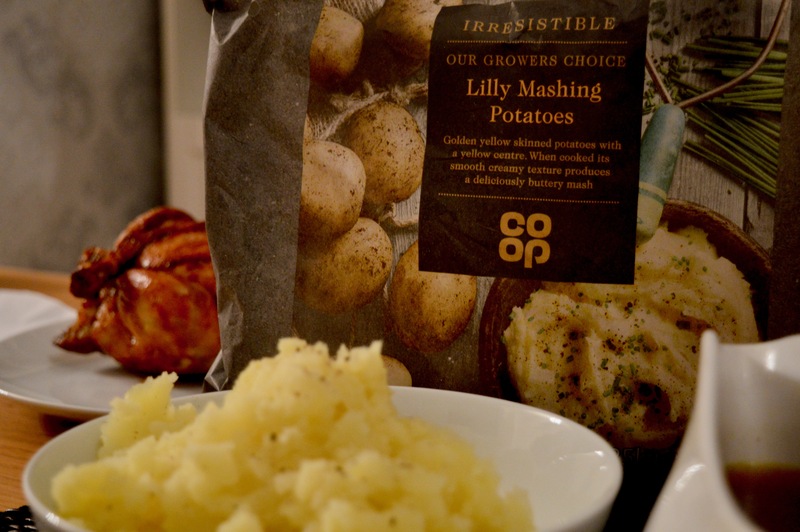 Buy your Co-Op Irresistible Mashing Potatoes from over 500 stores across the UK now. What’s your favourite dish with mash on? I’d love to know. Previous articleBLOGGERS STOP SAYING YOU GET STUFF FOR FREE!